that I had to do it again this year. but I wanted to collect some new ones this year. We are five days in and the kids are loving it. and do the Twelve Days of Christmas. or even check them out from the library! We are doing this this year! We didn't have enough books (and still don't yet!) but we did get some from the library. I'm hoping to get a few from some thrift stores too. I love this idea! We're still collecting books though. Just discovered your blog and I am loving it! I wondered if you would be interested in guest posting at Sassy Babies. If so, shoot us an email at trappedandscreaming at gmail dot com. We would love to hear from you! Wow that is a great idea.. I'd love to do this next year when my little one is lil bigger she is 20 months! I'm now following and looking forward to your new posts! 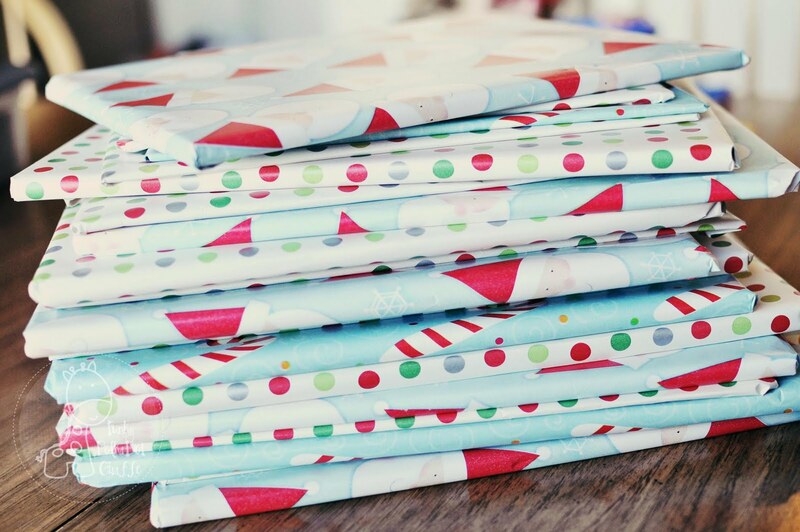 I love this idea and I love how cute your wrapping paper is! Thanks for the list of good Christmas books! 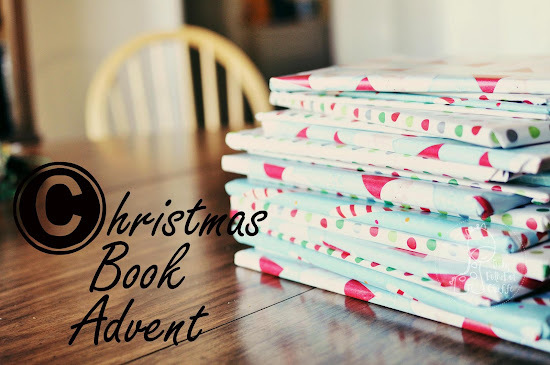 We are doing a book advent too! My boys are loving it!! What a great idea!! I think I will do this with my son next year, when he is older. The teacher in me is going wild over this idea! I LOVE IT!!! 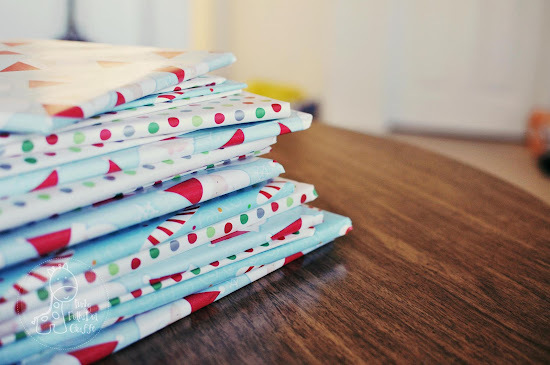 And, to extend the learning, because I'm a total nerd, if your kids are old enough, have them each create a book for another child in the house and wrap them up to go in the pile. I think they would appreciate each others' books that much more! So easy today nowadays on the computer or tablet.